Earn you 115 reward points. 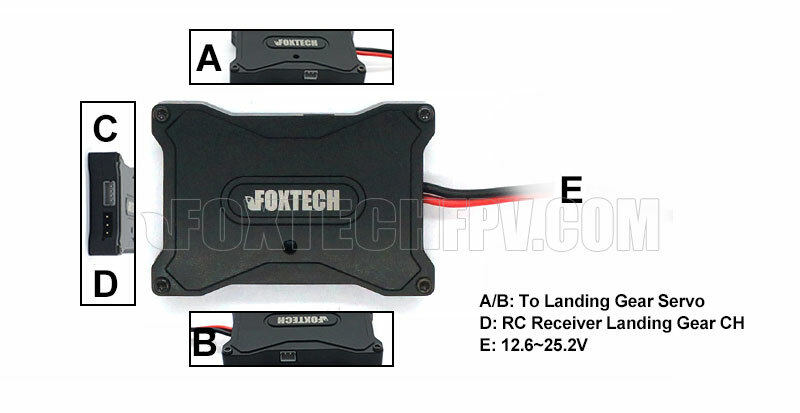 Foxtech quick detach version auto landing gear is released! 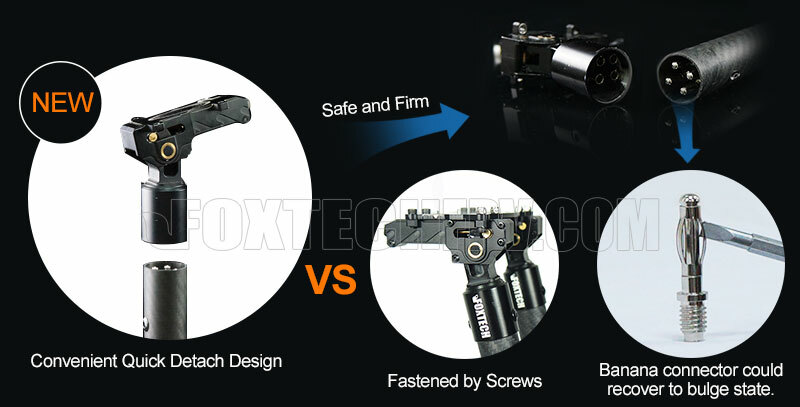 PIVOT V4 landing gear is lighter and stronger, it is more firm and stable. 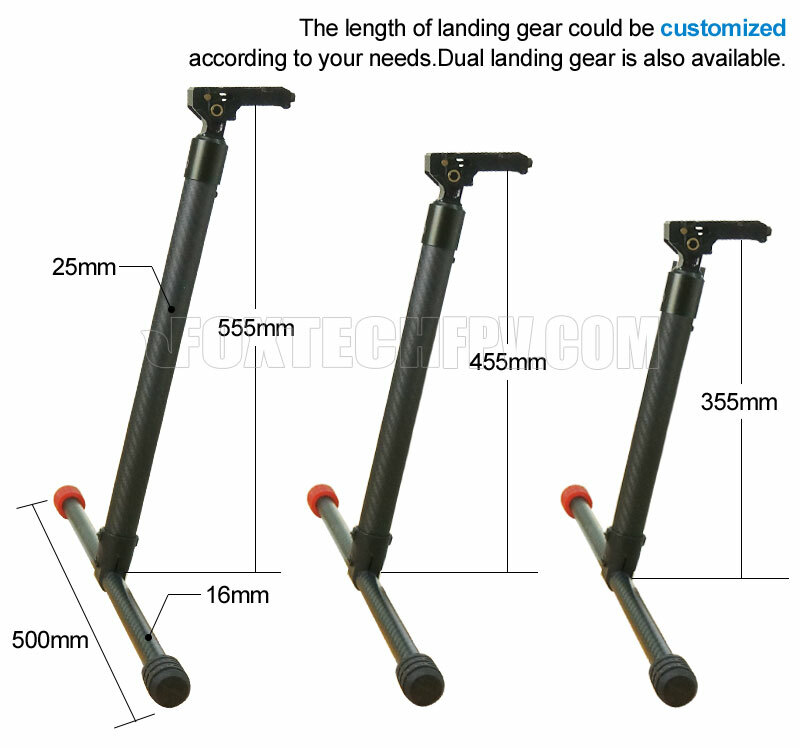 The highlight of this landing gear is the quick detach design, which makes it easy to install and transport. Also the optimized standing angle provides more space for different large gimbals. Note: Please recover the Banana connector to a bulge state by a screwdriver or other suitable tools if you find the landing gear is a little loose. 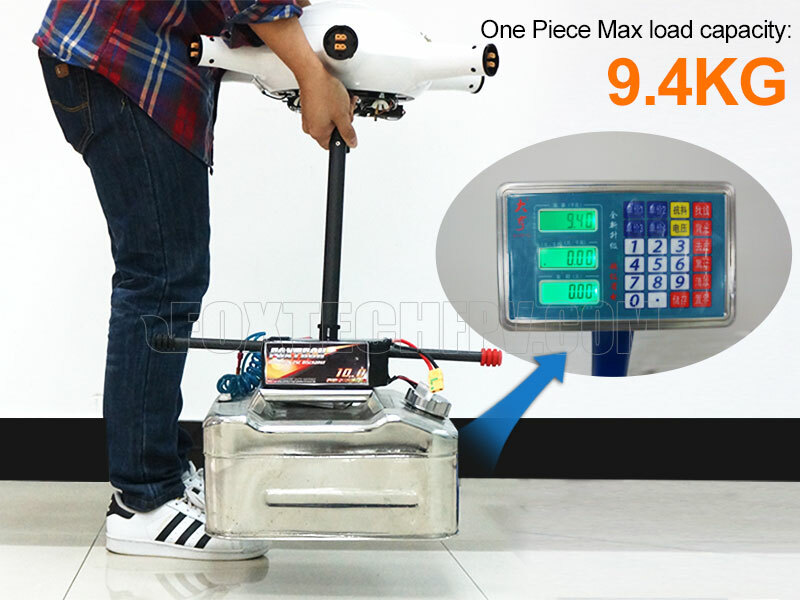 Notice: The length of landing gear could be customized according to your needs, please contact our customer service to learn more details.